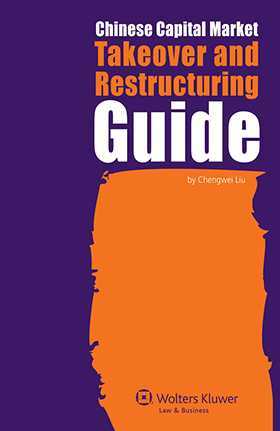 Although several useful entry guides to China for business investors have appeared in recent years, this is the first book to focus on a business strategy that is becoming increasingly important – and attractive – to businesses in China: the takeover and restructuring of a listed company. This practice orientated book has an additional value, moreover, in that it fully takes into account not only the relevant regulations, most of which were promulgated or updated from 2005 to 2010, but also the actual structures and procedures of nearly ninety announced deals, right up to September 2010. • the full meaning and significance of the ‘substantial asset restructuring’ (SAR), which may be asset purchases, disposals or swaps, or the SAR in special cases – merger or separation deals. The author’s illustration of deal structures and step-by-step procedures, visualized in over 150 charts and checklists, gives the reader a clear path to follow through what can seem like a forbiddingly difficult process – a path rendered more secure by the deal histories presented. For companies with operations in China, or considering such operations, as well as professionals advising on these companies, this book is a goldmine of crucially valuable information and guidance. There is nothing else available that comes close to its authority or expertise in this area.